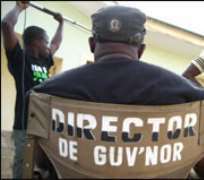 IN other to improve the content of Nigerian (Nollywood) films, directors have been urged to study Theatre Arts and Film Directing. This will enhance the... quality of their productions. This view was canvassed last week in Ibadan at a book presentation. The publication, Staging Ikhammaa, was written by Mrs Patience Iferi, who is also the Comptroller of Customs, Oyo and Osun Command. Iferi's book, a play, was launched at the Jogor Centre last Saturday. The author who holds a Bachelor's degree in Theatre Arts from the University of Calabar and a Master degree in Fine Arts in Theatre Directing from the same university while currently working on a Ph.D desertation in Theatre Directing noted a study of theatre arts will make the filmmakers understand the art of directing better. At the launch, a production of Staging Ikhammaa was staged by students of the Theatre Arts Department of the University of Calabar, to the admiration of the audience. There were many dignitaries in attendance, including Governor of Oyo state, Chief Adebayo Alao Akala, who was represented by the Commissioner for Information, Culture and Tourism Alhaja Risikat Alabi, managing director of International Breweries Plc, Ilesa, Osun state, Otunba Michael Daramola, among others. Speaking with http://nollywoodgists.com after the presentation and launch of the book, the author informed that “the writing of the book is an attempt to encourage the Nigerian director to study Theatre Arts before going into home video production. This is because a lot of home videos reflect the Nigerian's needs to make money without looking at the aesthetics of production. And I think it is time for people to study before they put up productions. This is because these films are being sold to the world as Nollywood. “ You know we have Hollywood as America's theatre image, we have to study and understand theatre before we put up production,” she emphasised. Iferi however, acknowledged that the Nigerian film industry has indeed improved compared to what obtained in the past. She said: “There is still a lot of improvement to do, in terms of the quality of production. And that is why I am saying that there is the need to understand the aesthetics of production; the full compliments of play directing which will now tailor the production to make the audience believe what you are showing them.